The Lincoln Abes out of Tacoma is one of my favorite football programs in the Pacific NW. The facility and ambiance there just scream High School Football, in a way that reminds me of the old says. These boys are homegrown, hometown, and always down to bring it all on a Friday Night! Julien Simon, a 6’1″-200 lb Freshmen, is already making his presence known on the football field. We have covered the Abes on and off over the years and there is just something so genuine about the whole program. This is not a rich area, far from it. But the boys and coaches play as big a brand of football as programs with the big bucks behind them. The fans, the cheer squads, and the atmosphere are electric. The kids are real too – really solid and tough on and off the field. Two brothers on this 2017 squad are making some noise and we have seen them both during the offseason and want to shed some light their way. 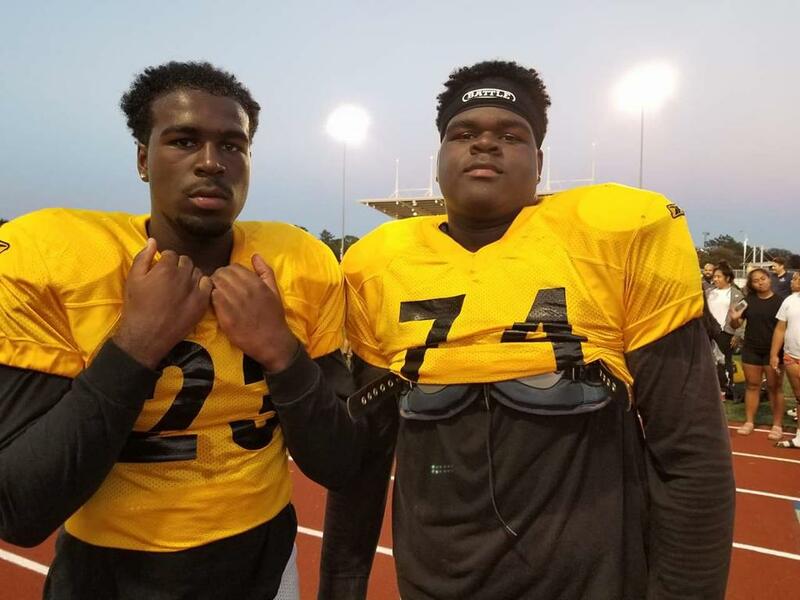 Jayden Simon (6’4″-280) a Junior Linemen, and his younger brother Julien (6’1″-200 lbs) who is just a Freshmen. Both of these outstanding athletes are starting both ways and having an impact on the field. Jayden is a rising lineman with size and footwork to make a case for a collegiate big man who already has a 3-star ranking. With a little more work and training he should move up into the upper echelons of the recruiting ranks. His film through 3 games is right here. Great job so far! Now the younger Simon is really gathering some interest. 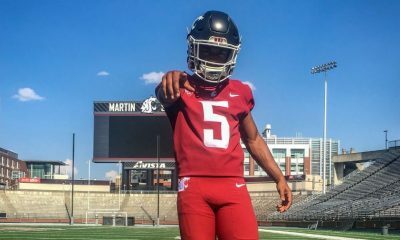 Just a Freshmen, Julien is already playing like a man and starting both ways. He is a very effective receiver and also starts as a Safety. As he gets bigger that might change. 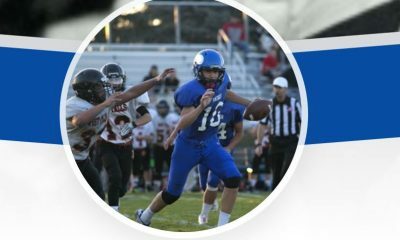 His upside is very high and he is already listed by 247 Sports and Scout.com. 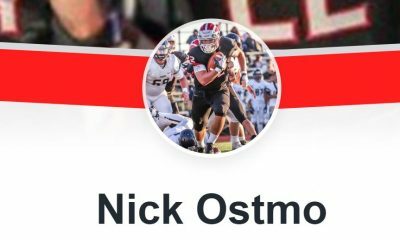 If he stays on the line he is on recruiting wise his trajectory takes him to a 4 Star with mega offers. That assumes grades, health, and all other things stay on course too. I like his chances! 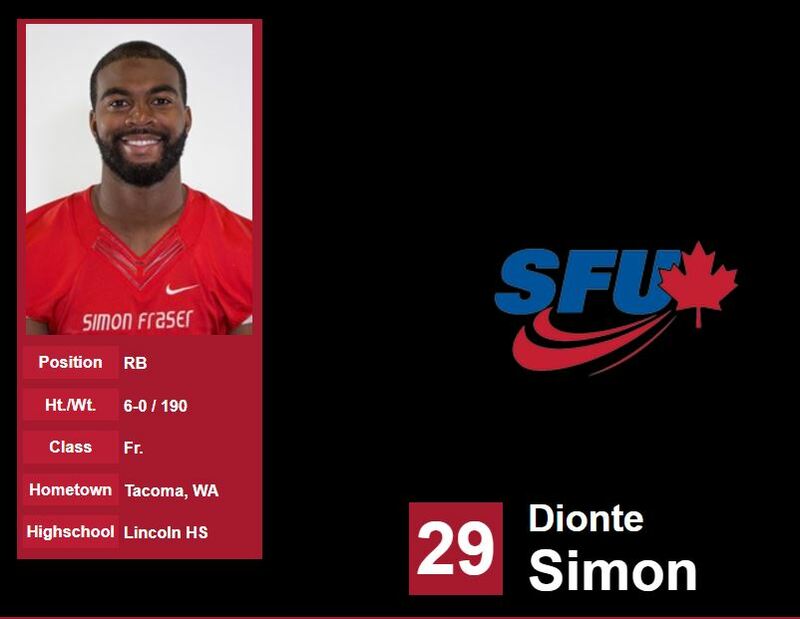 These two Simon’s make their way forward with the guidance of their coaches, their parents, and older brother Dionte who played at Utah State for a year before finding a better fit at Simon Fraser in Canada where he is contributing as a Red Shirt Freshmen. It is rare to see such success and talent in the same family! 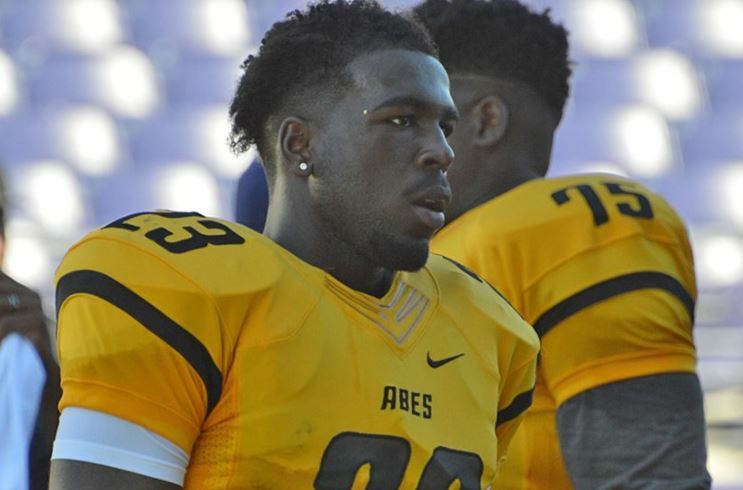 We will be staying current with these young Abes and their team – a team that is always loaded with terrific Football players including top rated linemen Giovanni White who we expect to go all the way out of Lincoln as well! Stay with us all season as we bring updates to you all of the best in the NW coming up the ranks each season.